Der Artikel Thomas Larson: The Saddest Music Ever Written: The Story of Samuel Barber's Adagio for Strings wurde in den Warenkorb gelegt. Ihr Warenkorb enthält nun 1 Artikel im Wert von EUR 30,50. 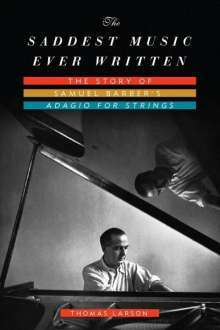 In the first book ever to explore Samuel Barber's Adagio for Strings, music and literary critic Thomas Larson tells the story of the prodigal composer and his seminal masterpiece: from its composition in 1936, when Barber was just twenty-six, to its orchestral premiere two years later, led by the great Arturo Toscanini, and its fascinating history as America's secular hymn for grieving our dead. Older Americans know Adagio from the funerals and memorials for Presidents Roosevelt and Kennedy, Albert Einstein, and Grace Kelly. Younger Americans recall the work as the antiwar theme of the movie Platoon. Still others treasure the piece in its choral version under the name Agnus Dei. More recently, mourners heard Adagio played as a memorial to the victims of the 9 / 11 attacks. Barber's Adagio is truly the saddest music ever written, enrapturing listeners with its lyric beauty as few laments have. 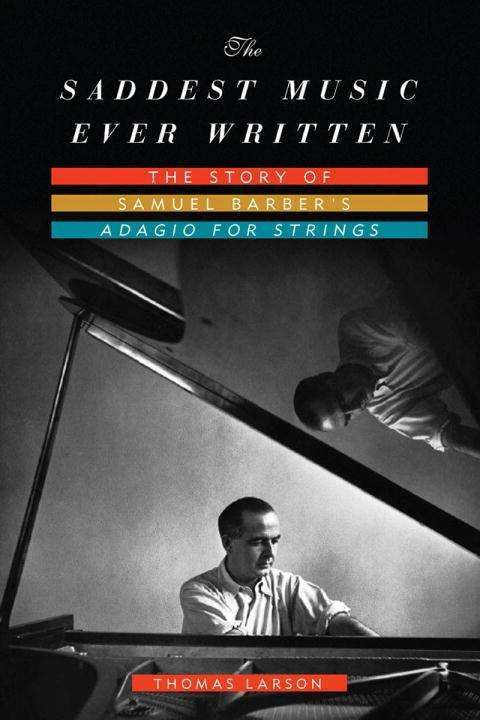 The Adagio's sonorous intensity also speaks of the turbulent inner life of its composer, Samuel Barber (1910-1981), a melancholic who, in later years, descended into alcoholism and severe depression. Part biography, part cultural history, part memoir, The Saddest Music ever Written captures the deep emotion Barber's great elegy has stirred throughout the world during its seventy-five-year history, becoming an icon of our national soul.